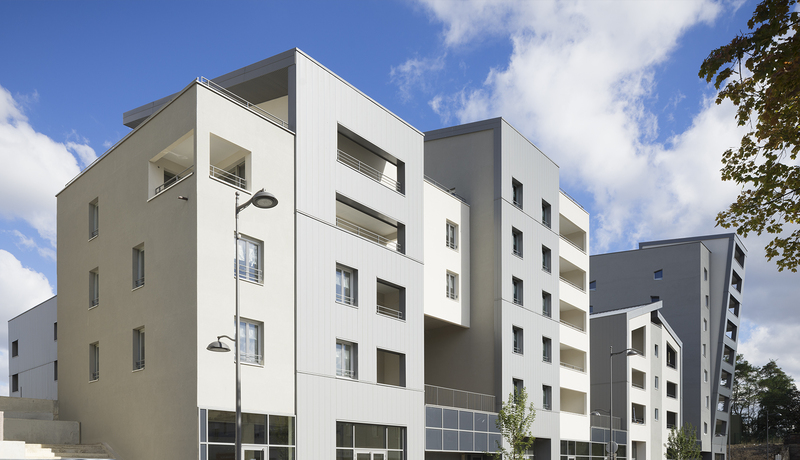 The Pont de Lumière residence is positioned as a new entry for the ZAC (Urban Develpment Zone) and announces the future developments to come in this sector. 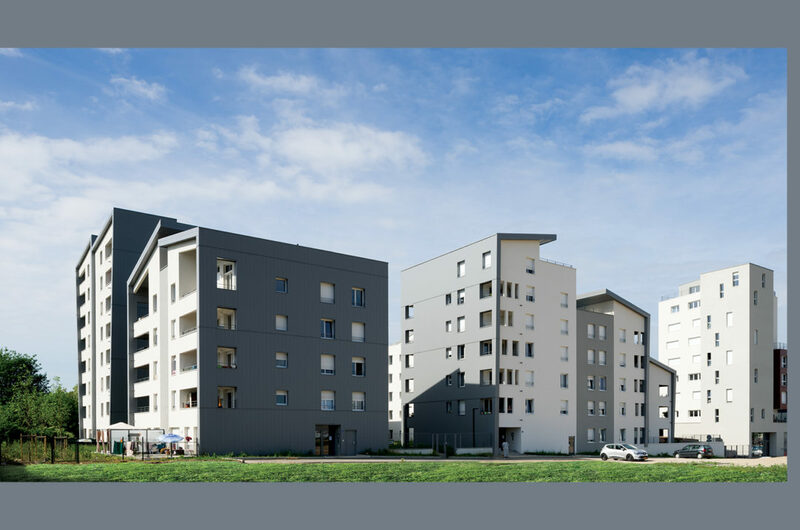 The project is located at the end of the ZAC, in the continuity of the operations developed around the Center Pompidou, according to the development plan and the block division carried out by the ANMA agency. 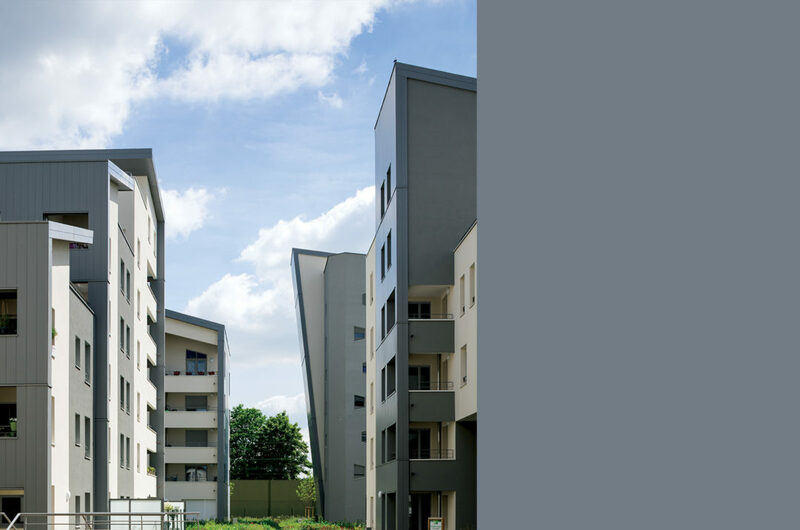 The development in the form of ZAC and subdivisions in urban, industrial and military redevelopment projects in the heart of the cities and their periphery is the challenge of urban forms and new densities. 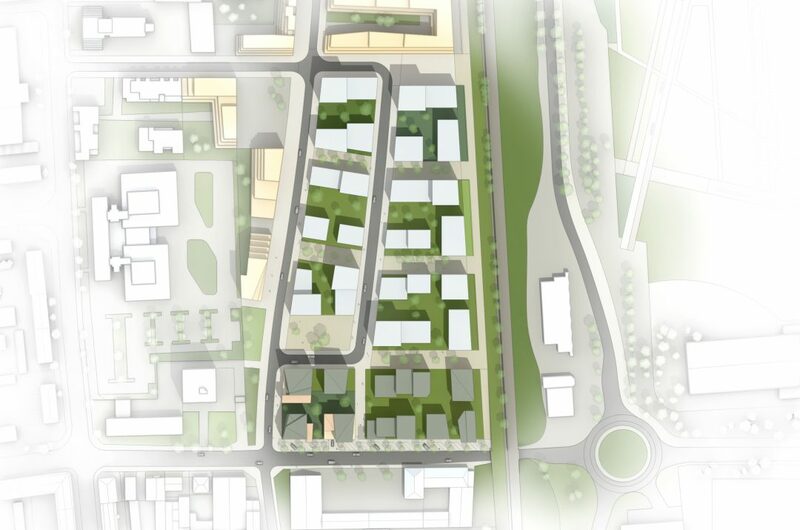 The residence gives access to the new district while guaranteeing the link with the existing city that borders it. Its base punctuated with local shops has the mission to revitalize the Lothaire street and create a point inciting to penetrate the ZAC. The built façades have been split to create different addresses and visual escapes to break any mineral mass effect. The heart of the island is decorated with a garden placed on the level + 1 to give a height of perspective to the green zone where the circulations between the buildings converge. From the street, passers-by can see this garden. 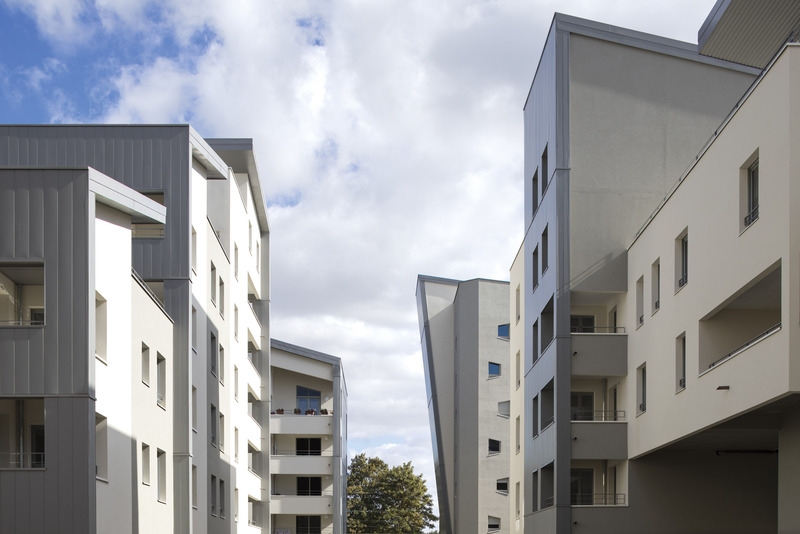 The operation carried out by Elizabeth de Portzamparc integrates 70% of social housing. A mix of typologies of apartments has been sought, ranging from the 1-room to the 5-room duplex. In this mixed subdivision, the intervention of Elizabeth de Portzamparc is inserted in a block shared with a tower from Christian de Portzamparc. Because of this, its buildings retain the curved forms of the roof of the latter and a treatment of white coating and zinc cladding for concrete surfaces. To ventilate the entire architectural mass, she opted for a variation of scales cutting out the landscape. The residence is divided into two entities, each having its own architectural personality, but maintaining a real overall coherence. This avoids monotony and reinforces the identity of each address. 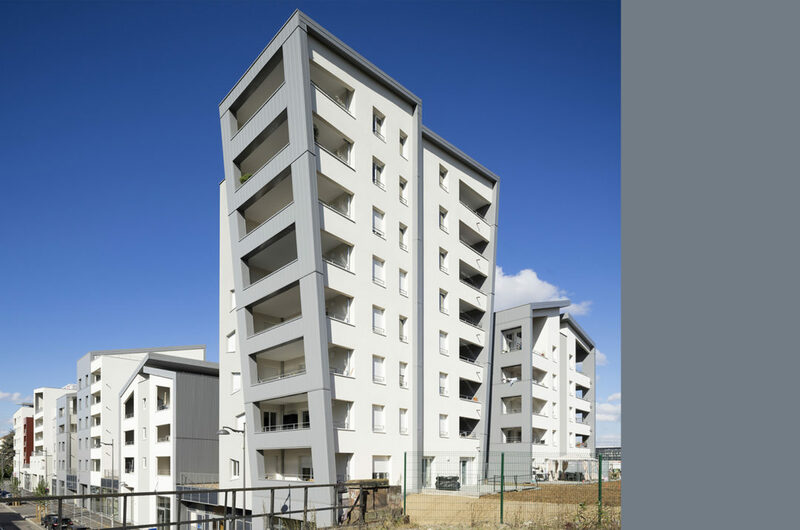 It should be noted that no qualitative difference can be made between buildings for accession and those reserved for social housing. The same rigor and care are applied to all buildings, in order to give everyone an optimal quality of life and environment. This project is part of a commitment to sustainable development by seeking BBC performance (the construction meets BBC standard and natural ventilation). 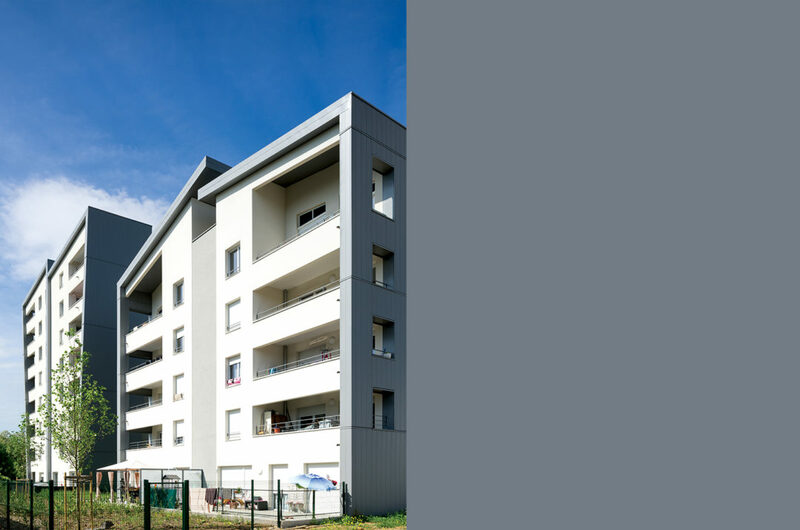 Its architecture has been developed on an external insulation principle. 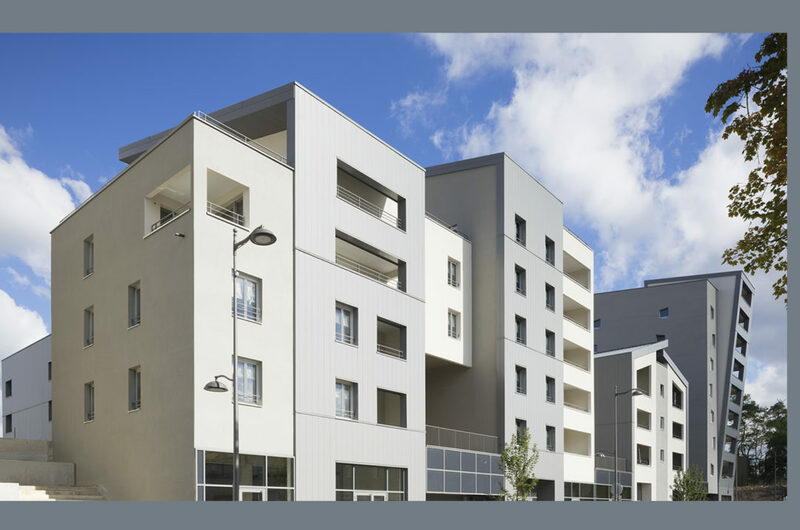 In order to provide maximum light in the apartments, we have searched to ensure that no apartment is mono-oriented. This double exposure gives each apartment, depending on the exposure, a prolonged light supply during the day. The position of each building allows the rooms to be placed in quincunx from one building to another, which avoids overly large vis-à-vis while releasing visual escapes allowing a better penetration of natural light. Having inscribed the inhabited ground floors of the buildings at +6.5 m in relation to the level of the Lothaire street, we were able to get free of vis-à-vis with the existing buildings on the south facades. In order to provide an optimal penetration of the light, all the living rooms/dining rooms are equipped with large windows with 2 and 3 ventures overlooking large loggias generous terraces. The minimum height of 2.6 m under ceiling also generates deep penetration of natural light. 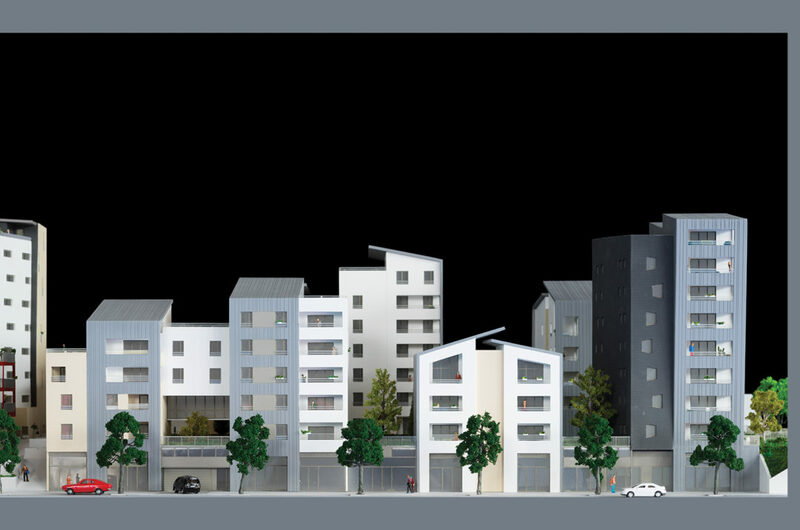 The slopes of the roofs will be inhabited either by duplexes or by lounges/dining rooms with double height filled with light.